If you have ants invading your home, the experienced NYC ant exterminators at B & D Pest Solutions can help! Ants are tiny scavengers that can wreak havoc in your home. Ants are one of the most common pest problems addressed by our NYC exterminators and often one of the most complex. They come in a variety of shapes and sizes, and different species require specialized plans. B & D Pest Solutions is equipped to exterminate ants in your NYC home. Ants can make their way in to your home through the tiniest of cracks in order to gain access to moisture and available food sources. These creatures can feed off anything, right from a moldy piece of furniture to the fresh fruits lying on your dining room table. When it comes to getting rid of ants from residential and commercial buildings, we are the experts you can count on! 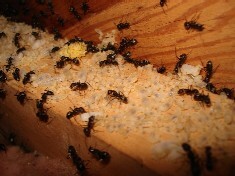 Our qualified exterminators know where to look for ant nests and how to identify the various species. Armed with this knowledge, and our elimination methods, we can help take care of your NYC ant problem! Several approaches must be taken to exercise ant control—a combination of good sanitation, removing pheromones, caulking entry points and destroying active nests. One of the most frequent questions pest exterminators hear is “How can I get rid of the ants in my home?” No one wants to share their home with these unwanted, pesky critters! Contact B & D Pest Solutions today — we are your ant control specialists! Baits – These are helpful in getting rid of indoor ants, but the nest outside must be sprayed with insecticide. We also seal all cracks and crevices and scrub around entry points with detergent to eliminate pheromones, after which we spray a residual insecticide around them. Nest Destruction – The most direct way to get rid of indoor ants is to locate and destroy the nest. Do your best to identify the type of ant so that you can find the best form of ant control. After that try to destroy the ant nest. B & D Pest Solutions is your best bet for effective ant removal. 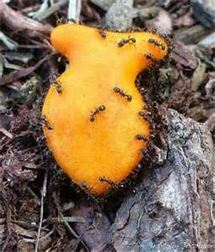 Ants work like a small army, and the colony sends out the scouts first and then the troops follow once a food source has been identified. In order for an ant exterminator to effectively eradicate ants from your home or commercial building, they have to first identify the species they are dealing with. Our team of experienced exterminators is fully trained in identification and pest control. 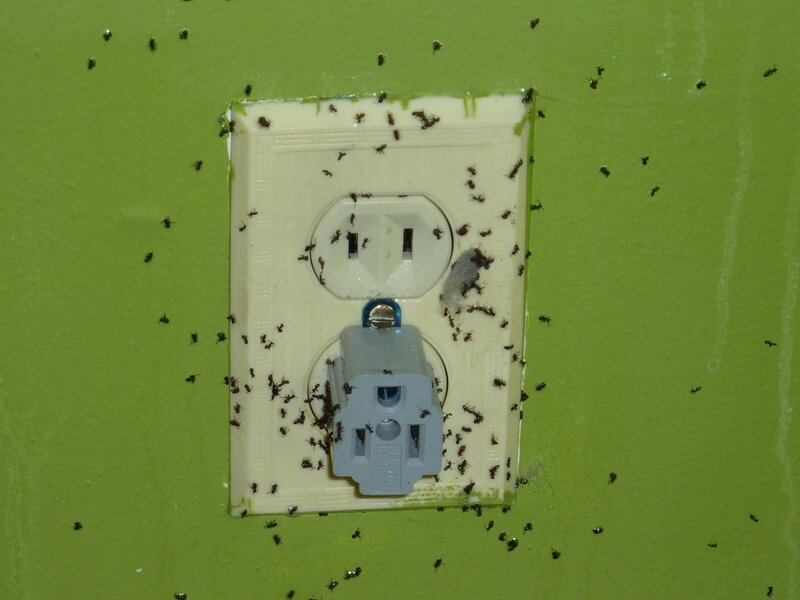 We can quickly develop a plan to rid your home of these unwanted pests. There are thousands of species of ants, however, there are four that are most commonly found in NYC homes. Red imported fire ants: These small ants cause a painful bite. They build large mounds in the ground around homes. Carpenter ants: These are normally five inches long and as the name suggests, they can be found burrowed in damp wood where they build their nest. Pavement ants: These ants are normally found living inside the cracks in your driveway, foundation, or concrete patio. Pharaoh ants: Commonly found in restaurants, hospitals, and apartment buildings, these ants can transmit some infectious diseases such as staph. Largest of the common ant species. These ants are normally about a half inch long. They are usually black and sometimes are found in shades of red. Pavement ants are very small, less that 1/4 of an inch. They don't move very fast and are normally black or brown. Odorous house ants stink when they are smashed. Their average size in from 1/8 to 1/16 of an inch. These ants are found from black to brown. Pharaoh ants are also very small, about 1/8 to 1/16 of an inch. Their color varies from reddish to light tan. Ants make their way into homes through tiny cracks in doors and windows. The scout ants leaves behind a scent trail for the colony to follow once the food source has been located. Ants can build a nest anywhere in or around homes. Some ant colonies can have over 5,000,000 ants. The queen can live as long as 30 years and worker ants normally live for around 7 years. DIY ant extermination methods work only on the visible ants, but there could be thousands of others hidden in cracks and crevices. An ant infestation requires a multi-dimensional extermination approach. While there may be hundreds of ants visible, there may be thousands of others waiting in a nest outside the home. Our exterminators not only destroy the ants that are visible, we track the colonies back to their nest and then take out the reserves with them. The idea is to eradicate the problem from root. Baits: These are helpful in getting rid of indoor ants, however, the outdoor nest needs to be sprayed with insecticide. The treatment also involves sealing all cracks and crevices, and scrubbing all entry points with detergent to eliminate pheromones. Finally, a residual insecticide is sprayed. Nest destruction: Locating the nest and destroying it.